Looking for quality hardwoods in the Berkeley and Berkeley north/hills Area, without the big price tag? 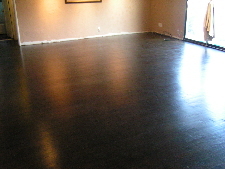 Hardwood floors refinish berkeley, now dust-free! You have found the perfect Flooring company for your new floor installation in Berkeley call today at 866-670-1239 and start your wood floor project today!. Our prices are the lowest whether you are doing a hardwood installation Berkeley, sanding a old floor in Oakland, Castro Valley, Emeryville, no matter where in California, our work speaks for itself. Also check out what our customers are saying on our testimonials page. 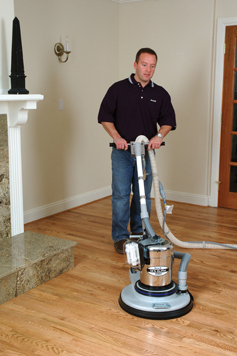 Want to find out how much to pay for your wood floors sanding & refinish in the bay area? Hardwood floors calculator cost you will be surprise how little will cost you to do a wood floor sanding in your house! 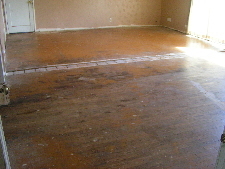 or install you new hardwood floors in the bay area & San Francisco Rent A Professional flooring crew for the day! Go and have fun! Our Rent A Crew flooring guys are reliable, skilled and matched to your Exact specific Flooring requirements. Every day! Every time. Call today 866-670-1239 and get our Professional flooring installers work for you! Oakland Wood Floors provides hardwood floor services in Berkeley. We're fast and use quality flooring materials. If you recently purchased a home in Berkeley that has very damaged hardwood floors and you want to hire a flooring company to refinish and stain them without the big price tag then Oakland Wood Floors is the flooring contractor for you. We are flooring professionals. Our flooring crews are dedicated and highly trained. We will work with in your home renovation project. We will accommodate to your schedule and make sure your floors are in perfect condition for your move-in date. We do high quality dustless wood floor refinishing or dust-free floor sanding, Oakland Wood Floors uses a low VOC water-based sealer and finish ( made by BonaKemi ). This is a very popular finish and will last longer than any oil base finish making this a great flooring coat. We also have great quality oil base coatings for your flooring project. We offer a full line of flooring installation refinishing & resurfacing from solid wood floors to engineered wood flooring . Oakland Wood Floors specializes in hardwood floors from hardwood floor sales & installation , Subfloor work - water damage repair, unique flooring ideas, Whether you are refinishing, installing, staining, repairing a wood floor or designing a custom masterpiece we can help you in all your flooring needs! I would like to take a little time to say just how pleased I am at the work your company performed. The floors look fantastic! Everyone that seen the floors before can't believe just how great they look now. There was a lot of damage, rot, old paint, missing boards, scratches and saw cuts. More Co. made my floors look Awesome! As a homeowner and a Realtor I wanted to make sure that the floor were going to look good. I got three estimates. Surprisingly you were the lowest!. I say that because you were the most professional, punctual, and informative. One Flooring Company told me they couldn't do the work unless I installed 220 volt for the sander. Another flooring Co. told me that I needed to replace the whole floor. They had great picture on their website but nothing but excuses as to why they couldn't perform the same thing on my floors. You had a list of reference, maybe two hundred? You gave references without me asking. I called three and got great reviews from your previous customers. You guys are Great! You steered me away from some of the more expensive products that I didn't need. More Co. was here on time and ready to work. You did the work and you even did it below your estimate. WOW! By the way I am inclosing some before and after photos and if it's OK I would like to put a link of you guys on my website www.HomesBayArea.net I will be recommending you flooring company to my friends and family. Thanks again for the marvelous job! Sincerely Manuel and Christy Hernandez San Jose, California. PS: I want your company to come back and do the rest of the house in a few weeks.